Press Ctrl+H (Hooks) and choose "Hook to new object"
Now leave the Edit mode (back to Object Mode) and try to move newrly created Null object. You may see, that in 2.71 Null object doest not move the corner of the curve. Jack J (JackyJuice) raised the priority of this task from to Needs Triage by Developer. Jack J (JackyJuice) added projects: BF Blender, BF Blender: Regressions. Jack J (JackyJuice) set Type to Bug. Jack J (JackyJuice) added a subscriber: Jack J (JackyJuice). The other steps make sense but I can't redo the bug. Could you include a blend file with the selection set, immediately before you add the hook? Note that hooks on vector handles aren't likely to be so useful, but don't think we should prevent it, because you may add a hook, then change handle types its hard to completely avoid. Nevertheless, if this is a bug, we should fix of course. Hi campbellbarton, thx for your reply. Could you check with an official 2.71 release build? 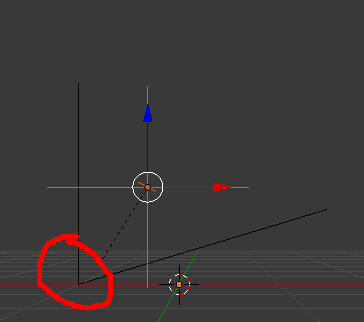 Im using an official build of blender. But ok, i've downloaded new archive and tried with it. No changes, its working as before(not hooking to the right object). So, may be its a bug with my other installed software? What information do you need to proove the bug? The issue reported can't be reproduced so far, and has been moved to the BF Blender: Unconfirmed project. If 2 other people aren't able to redo the bug after 2 weeks, it will be closed. We appreciate the effort that goes into making bug reports, but to be able to fix bugs we have to be able to redo them. 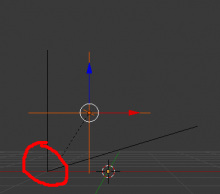 I also noticed that the hook empty is created a little off - not at the same position as the selected curve point. The hook is created at center of triangle selection (control points + its handles). I can reproduce it, too. Simply pressing Assign button of modifier solves the problem. I think being able to add a hook to Curve handles is an interesting feature. In this case, for vector handles, it is irrelevant. 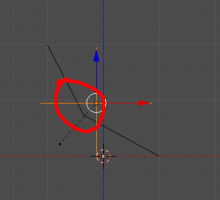 But think about animating a 2D Bezier Shape who looks like changing a 6 branches Star into a 6 petals Flower or dozen of waves with a stage set look, simply by transforming an empty. Of course, something like that can be done by curve shapes. But it is more efficient to transform (move, scale, rotate) an empty than to create several shapes for that. @Gottfried Hofmann (gottfried), thanks for the video - I tried the *exact* same steps and it still works fine for me.